A researcher whose work has been heavily questioned on PubPeer has corrected a figure on a 2015 paper in Talanta — but the text of the correction doesn’t match the actual changes. Recently, Rashmi Madhuri at the Indian Institute of Technology (Indian School of Mines) in Dhanbad corrected a 2015 paper about a diagnostic sensor that uses nanoparticles, noting that there was a “small error” in the legend describing figure 1. But the corrected image bears the same legend it had before, and instead swapped a panel of the figure that had been questioned on PubPeer. I suspect the authors simply submitted it to Elsevier who published it. 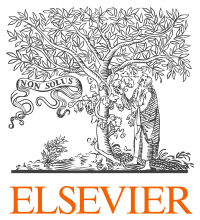 …there had been prior correspondence between the editor and Elsevier’s production staff about the corrigendum, which was misunderstood to mean approval from the Editor. The publisher added that they are investigating the other issues raised about the paper. Madhuri’s name may be familiar to some readers — last year, readers raised an outcry over one of her 2017 papers, which was also corrected. According to one scientist, the authors replaced “an obviously fabricated” figure with a “slightly better photo-shopped one.” The same four authors are listed on both the 2017 paper and the newly corrected 2015 paper; Madhuri is the corresponding author on both. Some of her other papers have also been questioned on PubPeer. The authors regret that Fig. 1 published in this manuscript has a small error in the legend. The correct Fig. 1 now appears here. The authors would like to apologise for any inconvenience caused. Meanwhile, the same PubPeer reader has also raised questions about another figure in the paper, alleging that portions of the spectra appear manipulated. We’ve contacted Madhuri, and will update if she responds. I guess the authors meant “Labelling within the figure” rather than “legend”… if you look carefully at the new Figure 1(B), you will see that a line is labelled as ” BI Fe/Pd” instead of just “Fe/Pd” as in the original. the same PubPeer reader has also raised questions about another figure in the paper, alleging that portions of the spectra appear manipulated. It looks like the concerns about repeating features within a spectrum were first raised by reader “Gymnetron Bipustulatum”, in a comment that sailed too close to the wind and was subsequently moderated. Some = at least 40 papers. I say at least 40 because I suspect the pubpeer search function is limited to 40 results.